D23 Expo 2017 Tickets On Sale Now! The D23 Expo 2017 will take place July 14-16, 2017 at the Anaheim Convention Center, and you can purchase tickets for the the D23 Expo now! The largest Disney fan event in the world, D23 Expo celebrates all the wonderful worlds of Disney entertainment, uniting all parts of The Walt Disney Company under one roof, including The Walt Disney Studios (including Marvel, Pixar, and Lucasfilm); Walt Disney Parks and Resorts; Disney Consumer Products and Interactive Media; and Media Networks (including ABC, Disney Channel, and Radio Disney). 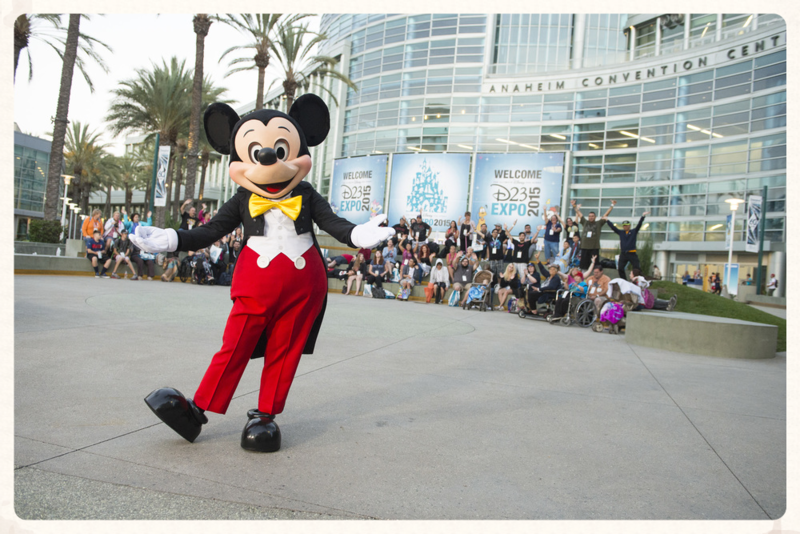 D23 Expo 2017 marks the fifth biennial event held in Anaheim. Tickets for D23 Expo 2017 will be available at a discounted price for a limited time. From now until December 31, 2016, tickets are $67 for a one-day adult admission and $46 for children 3–12. Tickets for members of D23: The Official Disney Fan Club are $57 for a one-day adult admission and $41 for children. Multi-day money-saving tickets are also available. D23 Members can save as much as $296 off the price of admission, based on the purchase of four three-day tickets at the D23 Member rate. For more information on tickets and the ticket pricing structure for members and general admission, visit D23Expo.com.